NOTE: The OE #21 returned home to Oregon on March 1st. We also successfully made our goal. 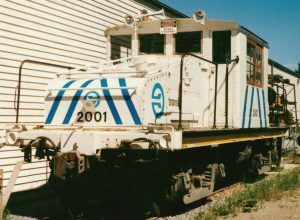 Donations are still being accepted to protect the locomotive and its eventual restoration. Here is a video about the OE#21 and its homecoming to Oregon. The Bring the 21 Home to Oregon project provides a very rare opportunity to be able to repatriate a tangible piece of Oregon history to a place that was its actual operating home over 100 years ago. And to finally have a piece of Oregon Electric Railway equipment at the Oregon Electric Railway Museum. As a non-profit museum, they have expenses they must meet so need to sell it rather than just donate it to another group. They are offering it for what it cost them to transport it their museum ($15,000). Added to that the trucking, crane costs, stabilization and contingency bring the project cost to $50,000. However, due to financial and site availability constraints they need to have it leave by February 2017. 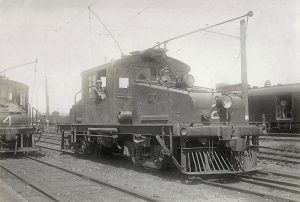 While this is a great opportunity, it was unforeseen that this vintage locomotive would ever be able to leave Canada and therefore no budget for this project was established by the Board. Further, due to the tight timeline, few applicable grant funds are available. The Bring the 21 Home to Oregon project will return this important piece of our history where it can be preserve d, restored and operated for the enjoyment by the public now and in the future. 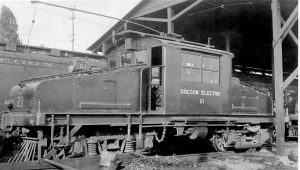 Currently 40,000 people annually visit the Antique Powerland site in Brooks, Oregon – the home of the Oregon Electric Railway Museum where #21 would take up residence. Stories of how the Oregon Electric freight service helped develop valley industry can be brought to life to school groups, scout groups, Oregonians and tourists. An example could show #21 pulling a load of freshly harvested hops for use in brewing. The hops are adjacent to our site – so the locomotive performs in live context of its roles 100 years ago. Interpretation will also showcase an example of clean energy in Oregon transportation from over a century ago.